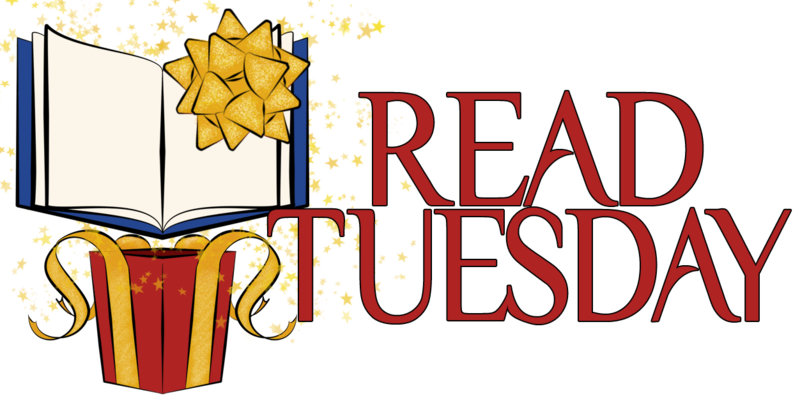 For those of you who missed out on this in 2013, Read Tuesday is a Black Friday type of event just for book lovers. In 2014, Read Tuesday falls on December 9. One promotion we’re considering is a Thunderclap. Imagine hundreds (thousands!) of posts simultaneously going live on the morning of Read Tuesday. That would be a nice boom with which to start the event. We’re monitoring a Thunderclap promotion by author Charles Yallowitz, who was an avid supporter of Read Tuesday 2013. Charles presently has 80 supporters. He needs to reach 100, otherwise his Thunderclap promotion will be silent instead of thunderous. If you don’t reach your goal, nothing happens. Charles is down to his final day and still needs 20 more supporters. It would be nice to see firsthand how a successful Thunderclap goes. It would provide some insight into how well such a promotion might fit Read Tuesday. Also, it would be great to support Charles Yallowitz in his Thunderclap promotion. It would be a small way of thanking him for all his efforts to help support Read Tuesday last year. Visit https://www.thunderclap.it/projects/16425-escape-reality-enjoy-the-fun?locale=en. The link will take you to Charles’ Thunderclap promotion. Click one of the large red buttons to support with Facebook, Twitter, or Tumblr. Simply sign in and agree. If Charles doesn’t reach 100 supporters, nothing will ever happen. If he does, the tweet you compose (you can just leave the default if you wish) announcing Charles’ book will simply go live at the scheduled time (on October 4). We might run a similar promotion for Read Tuesday (to go live on December 9). If so, would you be willing to sign up for the Thunderclap to help support it? Worth reading – AND participating if you aren’t already – for both events. Come on folks, Charles supports all of us so much – time to give back! This was a great event last year, so let’s make it amazing this year! Give your support to the Indie Author Community’s answer to Black Friday and Cyber Monday! Thanks for the shout out. I actually jumped the gun on the reblog and thought you started one for Read Tuesday. Oops. Never crossed my mind that this might be too early. No problem. 🙂 I will try to start early though. Good idea. I gave myself 3 weeks and it didn’t seem to be enough. Though you will probably have an easier time with so many authors backing you. I would still go for the smaller support amount. That way you increase your chance of succeeding. Does it let you get more support than the goal that you set? Yup. Just like Kickstarter, the 100 (if you go that low) is the minimum you need for success.